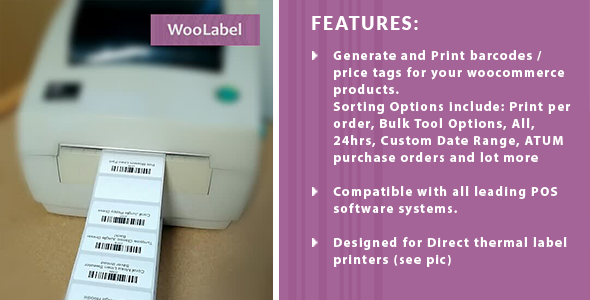 Woolabel enables you to generate & print physical product labels for your WooCommerce products. Options for each label includes having a scannable barcode on it, SKU number, price and the product title. It allows you to use self-adhesive label stickers to help physically identify products for your customers. NOTE: This plugin has been built to work with Direct Thermal Laser Printers that use Single Continuous Labels. Barcodes can be scanned by your normal barcode laser scanner. So you can use Woo Labels in a retail setting and combine it with an Online POS system and you have your very own shop. Options for each label are customizable. Price, Product Title, SKU / Barcode. This can be done via the dedicated settings page. Label configuration is available via the settings page too. Example: You can make the size of the font of the Price bigger if you like. Also, if you want to use bigger or smaller sized labels you can change the settings to accommodate this. There is a live preview of the label in the settings page. You can make changes like making the product title text bigger and then get a live preview of what it would look like. Three pre-sets are available in the settings if you use different size labels in your business. Bulk Tool Options. 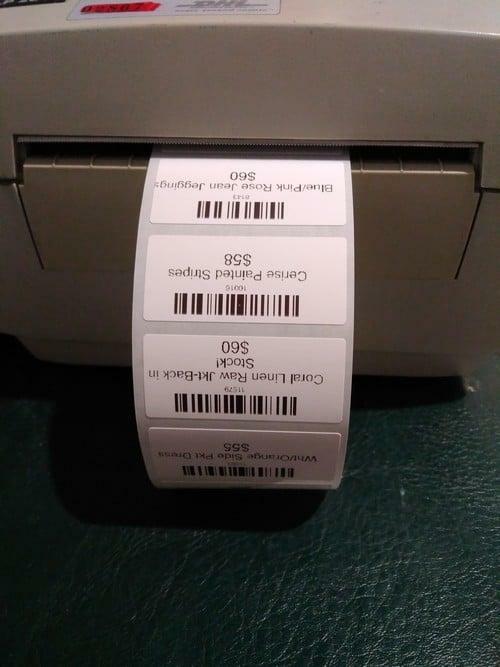 You can print labels off for multiple orders with just a few clicks. Record Keeping via Orders dashboard. WooLabel records which orders have had labels printed off for already. Let’s you print all the labels required for all the different products added to your website in the last 24 hours. Print Labels off for just one order? Via Action tool area. Go to purchase orders and in the action button field there will be a Woolabel button. Press that and that will take you to print preview for this purchase order. If you have multiple purchase orders in ATUM, select which ones and then use bulk tool options to print them all off at once. Print ALL barcode labels for your Woocommerce products. Sorting Options include: All, 24hrs, Custom Date Range, ATUM purchase orders, Manual selection, Mouse Click Mode (remembers the order selected and prints in that order) and Quantity (E.g. Print labels only if more than 3 are in stock). 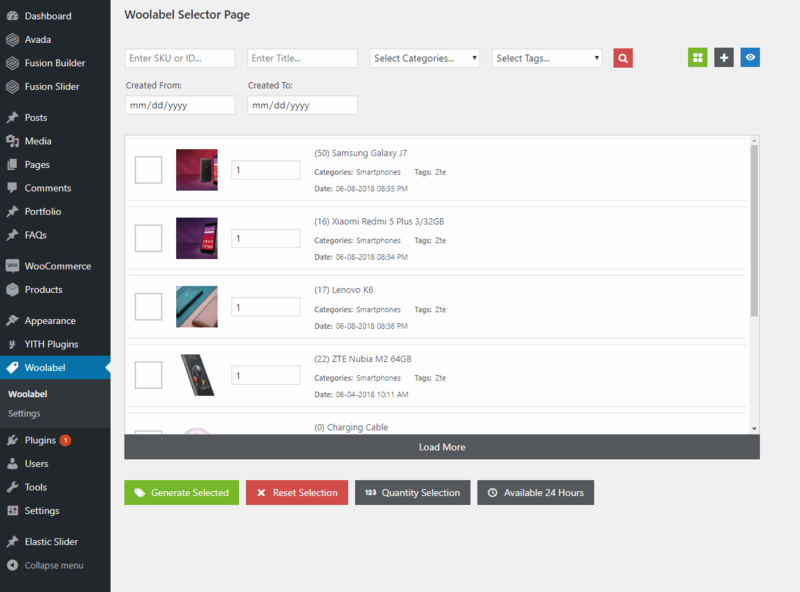 In the Woocommerce Orders Dashboard, the plugin records which orders have had barcodes printed for. (if you are printing them as required). Select Products and Quantities and Information to be on the label. Woolabel has many different automatic features to print of the exact amount of labels for you. (All, 24hrs, Time Range, Manual and Quantity) E.g. One option is to print the exact number of barcodes for all the products added in the last 24 hours. Another example, is Woolabel has bulk action tool feature when printing barcodes for several orders with just a few clicks.